Caterpillar has announced more details on the two new ultra-class mining trucks to join its portfolio, the Cat 798 AC and Cat 796 AC. IM was on site in Tinaja Hills, Arizona, to witness the grand unveiling and saw the 798 AC in action. The company said the decision to add the new models was based on providing its customers with more options at the highest end of its payload scale regarding electric or mechanical drive. The 798 AC features a 372 t payload and joins the mechanical-drive Cat® 797F in the 400-short-ton size class. The 797F has been a popular choice with more than 1,000 sold to the oil sands, copper, coal and iron ore markets. The electric-drive 796 AC delivers 326-tonne (360-ton) payload. With Cat deciding the 795 AC will not being offered in Tier 4 Final configuration, the 796 AC is likely to act as a replacement in regions where engine emissions are highly regulated, such as the US and Canada. When comparing field test data of the 795F and 798 AC, the new and larger model was shown to carry, on average, carry 12.9% more payload, boost productivity by 17.2% and exhibit 4% faster cycle times. Cat’s Jeff Castleman, in charge of new product introduction in the large mining trucks range, said at the truck unveiling the company was able to move from design to production in the field with the 798 AC in just one year. It was able to achieve this as the machine is based off the old Unit Rig MT6300 AC design, a product line that came with the 2011 acquisition of Bucyrus. 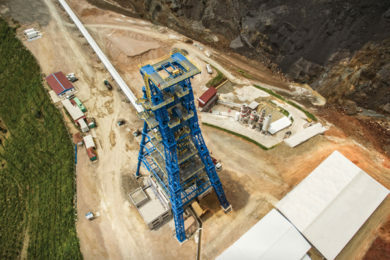 Cat says both trucks will be available in June quarter of 2019, but IM understands two 798 ACs have been undergoing trials at Arch Coal’s Black Thunder coal mine in Wyoming, US, for close to six months, an operation that formerly used at least one MT6300 AC. 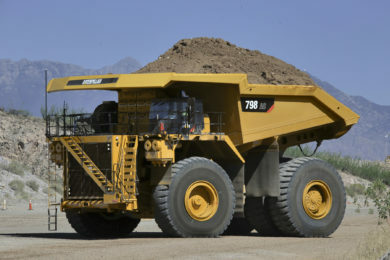 While the company expects the mechanical drive 797F to remain a leader in the Canadian oil sands sector – around a third of sales have been to this market segment – studies comparing the two showed the new 798 AC could more than hold its own when it comes to hauling on grade and getting out of the sticky underfoot conditions sometimes present at these mines. This is also backed up by the fact two MT6300 ACs previously operated in the Canadian oil sands. The design of the new trucks focuses on delivering class-leading payload, high reliability and simple serviceability, Cat says. These attributes are built on the frame and chassis design proven in 18 million hours of legacy truck operation and now used by the Cat 794 AC. The AC powertrain of each of the two new trucks draws from the Cat 795 AC and Cat 794 AC, which have been operating successfully for about 5 million hours. The electric drive is developed and manufactured by Caterpillar and is the single source for the entire powertrain, a key selling point of the truck when it comes to serviceability and operation in the field. The Cat C175-16 diesel engine powers both trucks. With more than 21 million hours of operation in mobile equipment and power generation, the engine can be configured to meet US EPA Tier 4 Final emissions regulations and offers a choice of 2,610 kW (3,500 hp) or 2,312 kW (3,100 hp) to meet the mine’s needs. 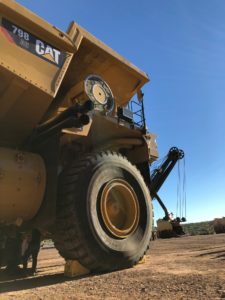 “To further adapt to the mine, software changes can adjust system power to help meet production targets or to work smoothly in mixed fleets,” Cat says. Both truck models are designed to minimise empty machine weight, as configured in the field, enabling the 798 AC to carry its class-leading payload of 372 t and to haul more material each cycle on 59/80R63 tyres. Both new trucks feature four-corner, oil-cooled disc brakes as well as dynamic braking for stable handling and fast stopping. Superior retarding capability, blended braking and the Cat Traction Control System help boost productivity and enhance safety. 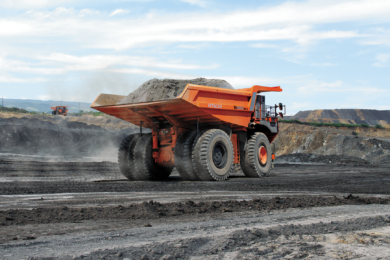 In terms of the trucks’ body design, the Cat High Efficiency body is sized and configured to meet the specific needs of the mine, dictated by fragmentation, abrasion, cohesion and the loading tool. The curved floor, front, and canopy strengthen the entire body, which is integral to the truck. The body is sized to meet the payload requirements without compromising vehicle balance, braking or control. Open engine access and service platforms ease maintenance tasks, with the modular design allowing easy removal and installation of components. The engine, traction alternator, motors, inverter, grid and final drives can be removed independently, again speeding up maintenance tasks. Traction alternator and optional inverter platforms allow for easier inspections, diagnostics and component swaps. 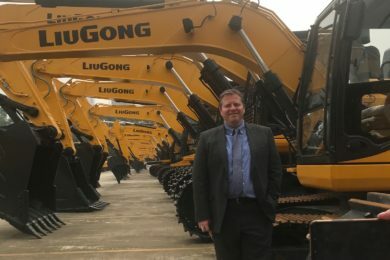 The result is less service time and greater uptime, Cat says.